Three Hares is a theater collective that produces socially conscious and politically engaged theater. Led by Producing Artistic Director Noam Shapiro, Three Hares brings together a rotating and diverse cohort of multidisciplinary artists to examine how we respond during moments of crisis or change. Recently Three Hares has developed projects exploring the Filipino immigrant experience in America, the humanitarian crisis at the United States’ Southern border, sexual harassment in the theater, interfaith marriage, and modern parenting. Three Hares is committed to developing new theater that champions emerging voices and to building rehearsal rooms and audiences that are inclusive, diverse, progressive, and international. Three Hares is a sponsored project of Fractured Atlas, a non- profit arts service organization. Contributions for the charitable purposes of Three Hares must be made payable to “Fractured Atlas” only and are tax-deductible to the extent permitted by law. 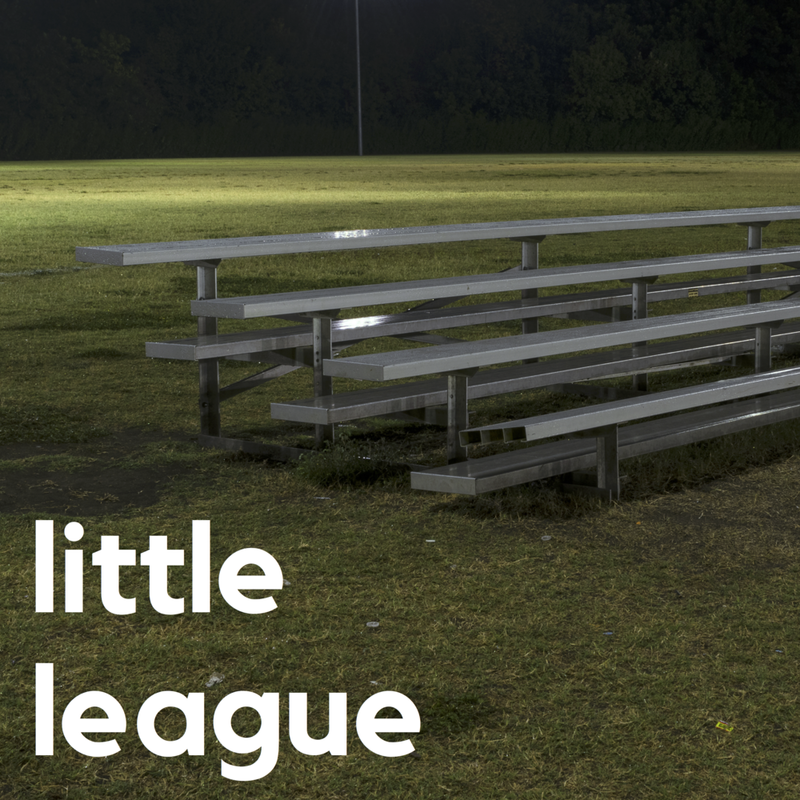 On the bleachers during little league games, parents root for their children, teenagers flirt with heartbreak, and secrets quietly come into play. But when four fans meet by chance on the sidelines, baseball becomes the last thing on anyone’s mind. Jack Spagnola's Little League is a heartfelt comedy about the compassion and courage it takes to grow up.